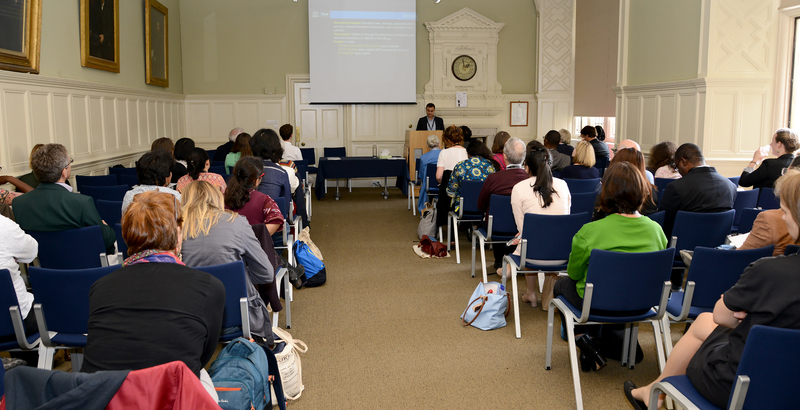 A couple of months after the UKFIET 2017 conference, co-convenors for the conference sub-theme on Assessing Teaching and Learning for Sustainable Development, Aaron and Rhiannon, reflect on some of the highlights from the conference. What topics were addressed in sessions of the Assessing Teaching and Learning for Sustainable Development sub-theme at the conference? We were excited to see that papers under this sub-theme covered a really broad range of topics, some quite contested. They included papers on how assessment is associated with – and can impact – equity and inclusion within classrooms and schools; discussions of who is included (and excluded) in large-scale assessments; and issues involving the huge complexity (and cost) of integrating high quality assessments within projects. There were papers on language – the significance of the language used in assessment, how this can be politicised, and how the language used can impact the validity of assessments within countries and the comparability of assessments across contexts. There were also sessions on the role of assessment and global measurement strategies within current global policy discussions, including the types of learning outcomes that are likely to be assessed (or not) to determine progress towards SDG4. Many papers pointed to the challenges in developing assessments that are relevant, useful and applicable across wide-ranging contexts. What were some of your highlights from this sub-theme at the conference? Rhiannon: A particular highlight for me was hearing about how the ‘learning assessment paradigm’ is located within very different country contexts, and how this impacts on both how assessments are implemented and how the findings from them are perceived and utilised. One example of this was from a session on Day 1, where papers were presented on assessments in Vietnam and Sierra Leone. It was very interesting to hear the presenters discuss how policymakers in Vietnam reflect on and make use of the results of large-scale international assessments, particularly given the country’s recent PISA success, whilst also considering how national and local assessment data was being considered by policy makers and teachers in a completely different context in Sierra Leone. It really highlighted for me some of the different meanings which can be attached to the assessment of teaching and learning. Aaron: While equity issues have long been a focus of interest in these conferences, the depth of this year’s sessions that examined strategies and tools being developed and implemented to assess inequalities in education were particularly noteworthy. Clearly this is an area of growing attention, especially given accountability concerns and increasing data availability. That said, deriving clear-cut policy implications from different measures of educational inequalities are fraught with difficulty. Since the conference took place, two new reports have been launched: 2018 World Development Report and the 2017/8 Global Education Monitoring Report. Both reports emphasise the importance of assessing teaching and learning to address policy concerns at different levels, as well as the risks of implementing and using assessments in ways that can undermine good teaching practices. Many of the issues raised in these reports were discussed in depth at the UFKIET conference by a diverse range of colleagues from different places, organisations and disciplines. It seems important that, moving forward, these diverse perspectives be reflected amongst those who are involved in ongoing efforts to develop and utilise assessment tools on a global scale.